So, I am obsessed with my eyebrows. I am always on the hunt to find the best combination of gel, powder, pencil, brush, wand, and anything else that I may need to make the perfect brow. I have a couple favorites, but I am always willing to try more to see if there is anything better. 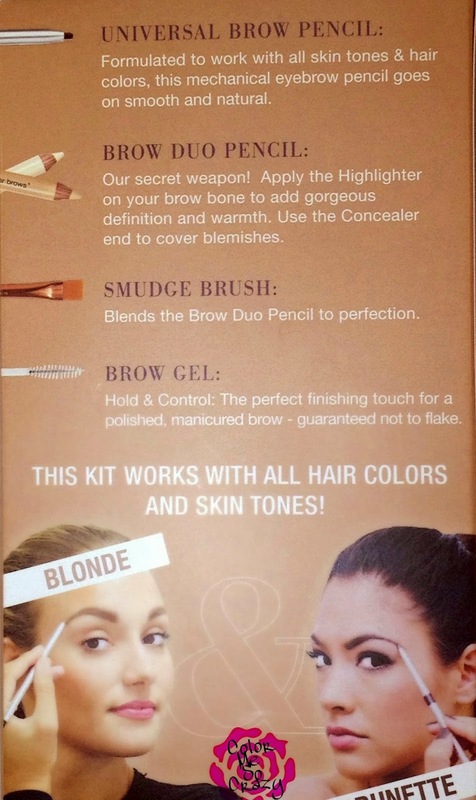 With this kit, you get the "Best Sellers Products" which are 4 of the best products Kohls has for your brows. Each product is especially made for and sold at Kohls. 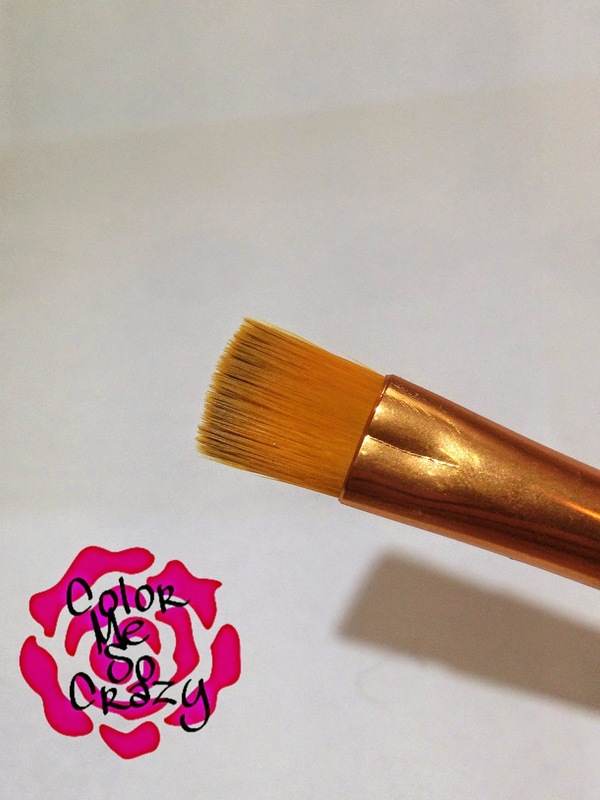 This pencil helps you color match whether you have blonde hair or brown hair. It actually leans towards a dirty blonde to cover all bases. I like my brows a little darker for definition and filing purposes, but this is an overall nice color. The pencil itself is a twist up pencil that is self- sharpening. Kohls says this an essential item for applying Brow Highlighter. This is a flat, synthetic brush. When I first received this, I thought this was for smudging the brow pencil- makes sense, huh?? Well, it's for the highlighter/concealer duo. Trickery!! It makes waaaay more sense to use it for the pencil than it does for the brow. 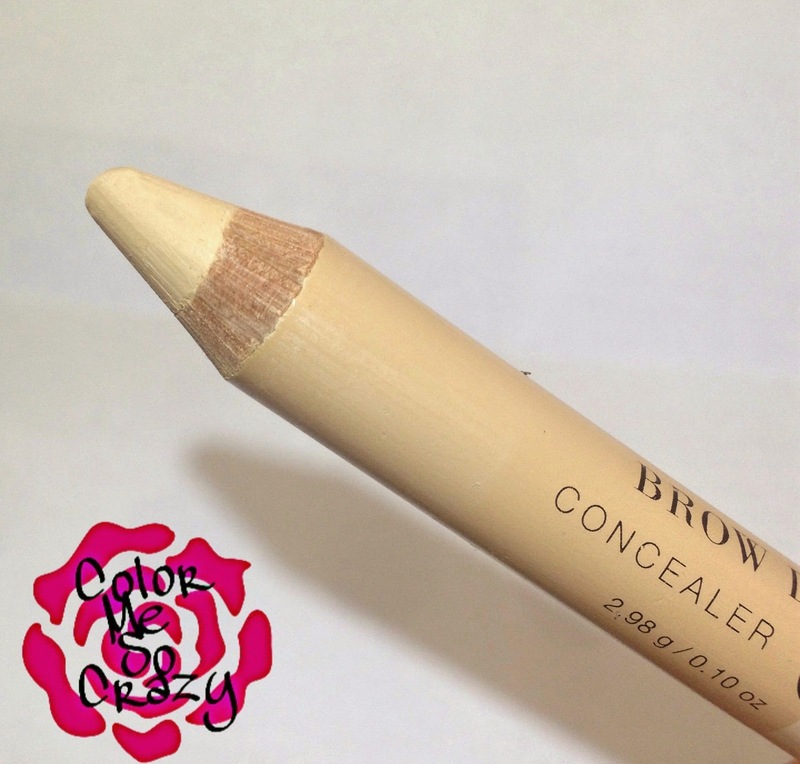 It does not for work for the brow pencil, but it does for for the concealer/ highlighter. This is a fat pencil that has concealer on one end and highlighter on the other end. This was very creamy and very easy to apply. Kohls says, "Brow Duo Highlighter allows you to highlight your brow bone to add gorgeous definition and warmth. Works with any skin tone. 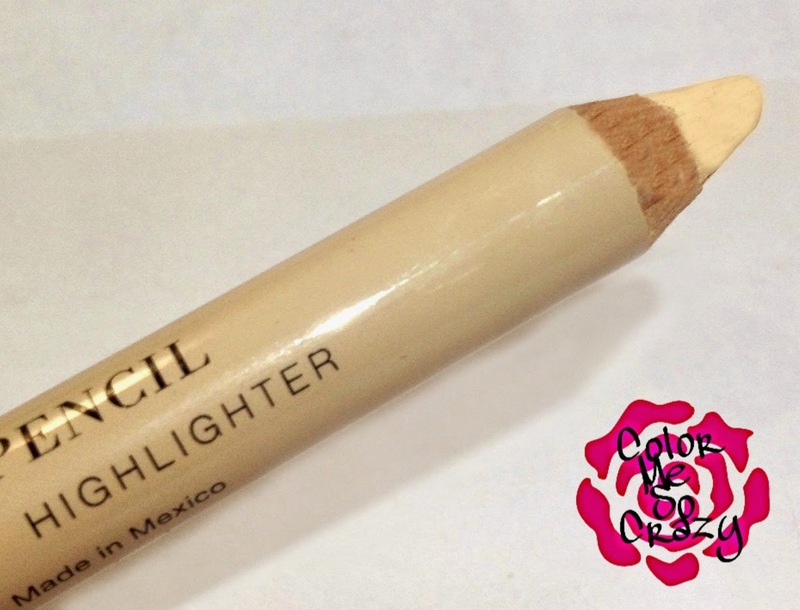 Plus, for those on-the-go touchups, a handy universal concealer to the opposite end of the pencil". 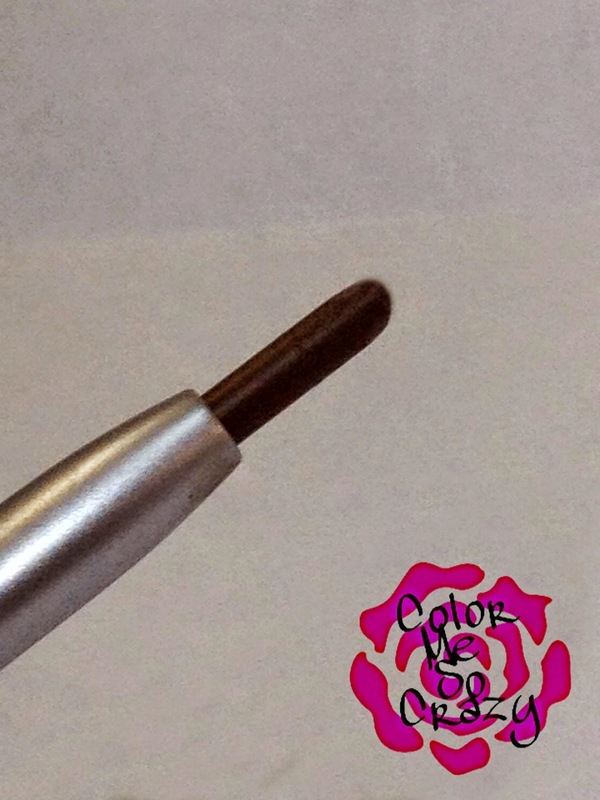 You put this on when you are done shaping and filling to seal the look of your brow. This should be your very last step. 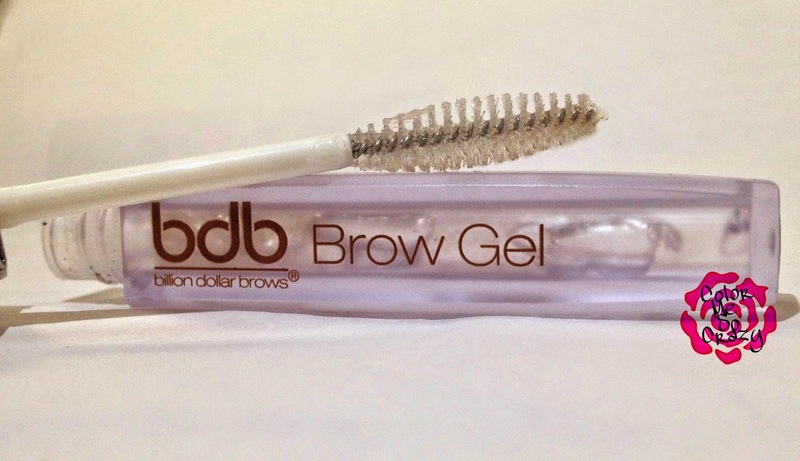 Kohls says the gel is, "an effective formula that will lock in your look, giving your eyebrows a long-lasting, radiant glow while keeping them perfectly in place all day". Kohls also guarantees that the Brow Gel never flakes. 1. I really loved the dual ended highlighter and concealer pencil. I loved this. It takes the work out of me taking out my palette and then 2 different brushes and then having to do all tat extra work. Ok, ok that seems like I am being lazy, but with 2 kids to also get ready in the morning, extra seconds count. 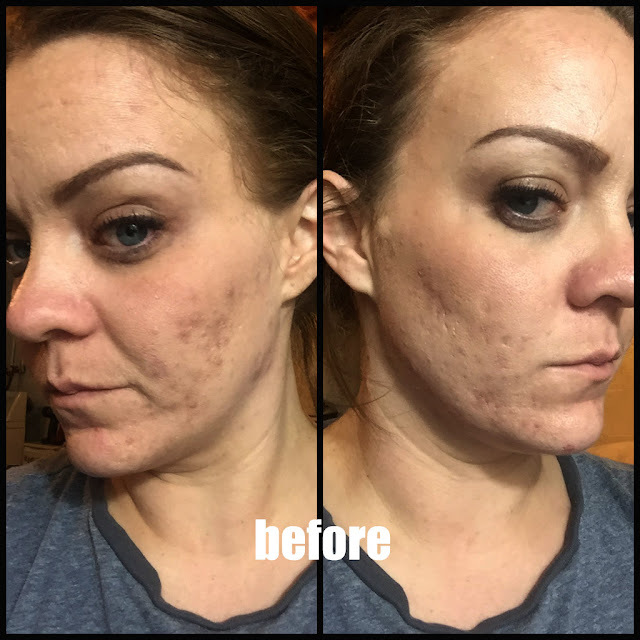 I really like the formula and application and I will definitely be adding it to my regular makeup bag. 2. I really liked this brush. 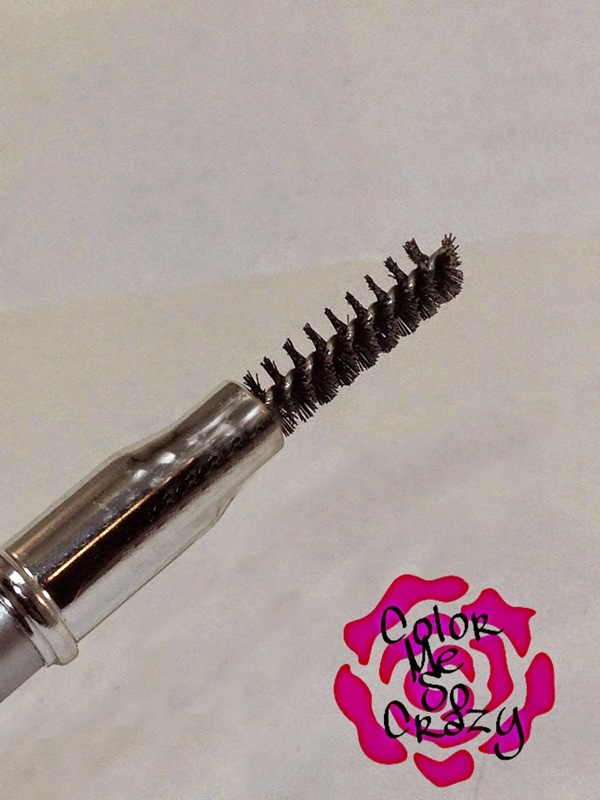 The bristles were really smooth and it blended the product very nicely on to my brow area. 3. All of the tools were really easy to use, easy to hold, easy to clean. This makes it a perfect kit for people looking to start out. It has all the basic items in it. 1. The smudge brush was too thick and too big for brows- which in turn is what it is not what it is supposed to be used for. When I got the kit, I really thought this is what it was for. How strange is it that the top item would be a smudge brush for a concealer, but not for the actual brow pencil? I wish they would have included a brow brush instead of a brush to apply the concealer/highlighter. It is really hard to get brown lines and fill in spots with just a pencil.and a wand. 2. The gel brush made it really hard to pick up product. 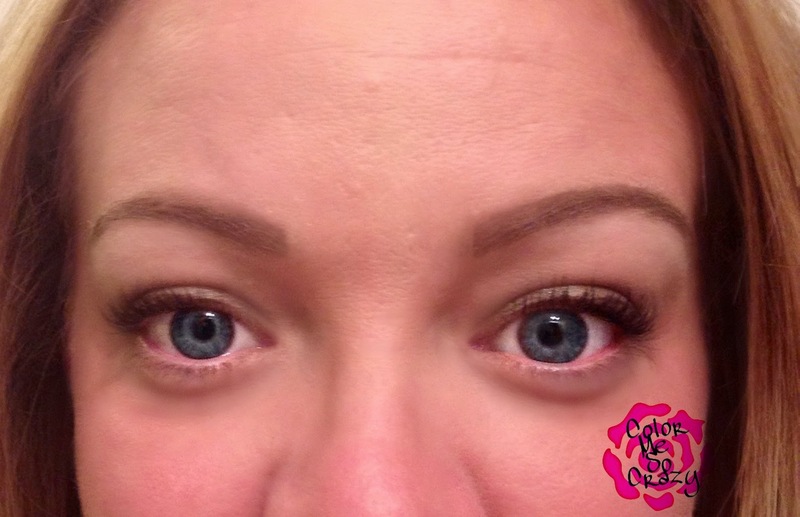 I felt like I had to dip it several times before I could get enough product on the wand to seal the brow. Maybe a smaller bristled wand would have worked. 3. Lastly, the brow pencil was really difficult to use. It was slightly dry and very hard to apply. I expected something a little more smooth. You can buy this kit for $34.99. It has a $68.00 value!! This is a great savings! You can buy this exclusively from Kohl's or Billion Dollar Brows. They are available as of October 2014! !